Back - Index - Submissions - - What is RSS? Karen Bliss, Toronto The countdown has begun on the Backstreet Boys' Web site for their Oct. 30 Jive album, which is as-yet-untitled. Group member Nick Carter tells Billboard.com the Boys are still tweaking things in the studio and will cut vocals for a couple more tracks today (Aug. 10). "We are just putting the finishing touches on it and it sounds incredible," Carter says. The album, whose first single, "Inconsolable," goes to top 40 radio Aug. 27 but can be sampled now on BackstreetBoys.com, will include 11 or 12 songs, Carter speculates. "We didn't needed to cut that many because I think that we're back into our rhythm of what the group is about," he says. "I felt like 'Never Gone,' the last album we did [in 2005], was basically an experimental album in the sense that we'd been away for four years. We were just trying to find out niche again and I think now we're back in that pocket." Despite the loss of original member Kevin Richardson, Carter says BSB "didn't have to make to many adjustments" in the studio. "The one thing about being in a five-part vocal harmony group is that it makes it a lot easier. I'm not saying we couldn't sing a cappella better or just as well [with Kevin], but people who know the Backstreet Boys know what we can do and it wasn't too hard. We're all great singers so we can all cover different ranges. AJ sings bass too. I can sing bass. So, we just cover the parts." Carter also feels the pressure to return to multi-platinum heights has been lifted, allowing the group to enjoy doing what it does best. "We know that we're an entertainment group. We like to dance and sing, and the stage show is one of the biggest assets that we bring," says Carter. "When we were in the studio, we just wanted to create something that was true to us, but at the same time an evolution of some sort." The group plans to tour in support of the new album in the beginning of 2008. "A long, great show" is what Carter promises. "We're always stoked to get out there." Click here to see more comments. This is a fan site. 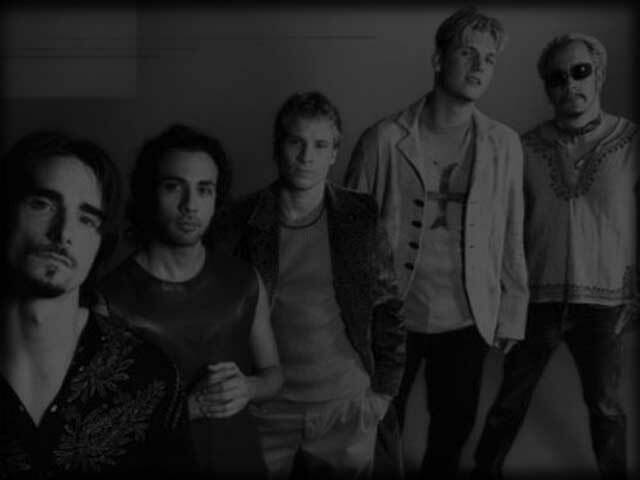 This is a Backstreet archive. This is Your site.